Douglas (Sandy) Cohn graduated from Wilson in 1964. 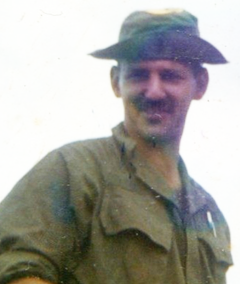 He served as a 1st Lt. Recon Platoon Leader, 1st Cavalry Division from 1969-70. Sandy graduated from West Point 1968, volunteered for Vietnam, medically retired due to five bullet wounds October 1970. He was awarded two Silver Stars and two Purple Hearts.